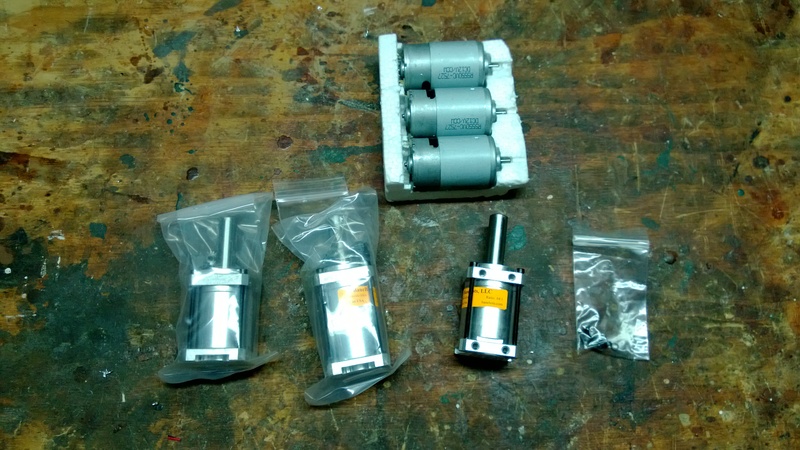 The three gearboxes and motors that will be used in TourBot before assembly. 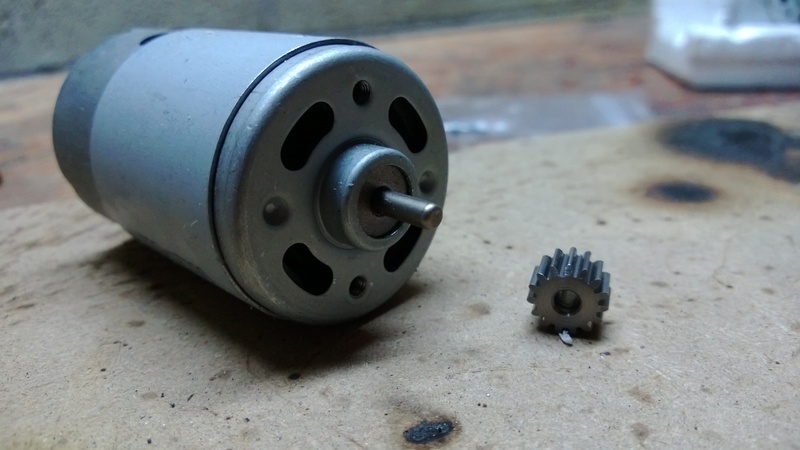 The first step after getting everything out of the packaging was putting the pinion on the motor’s shaft. 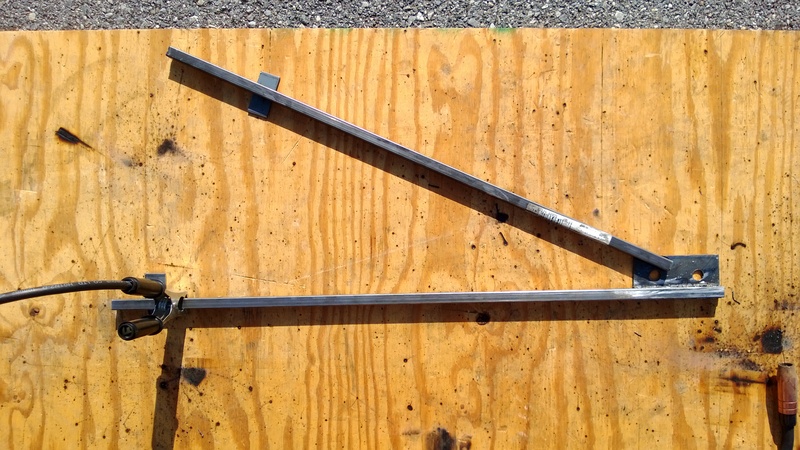 Which is easier said than done because the pinion’s hole is about .002″ smaller than the shaft’s diameter. This means that once its on the shaft it isn’t coming off or slipping. 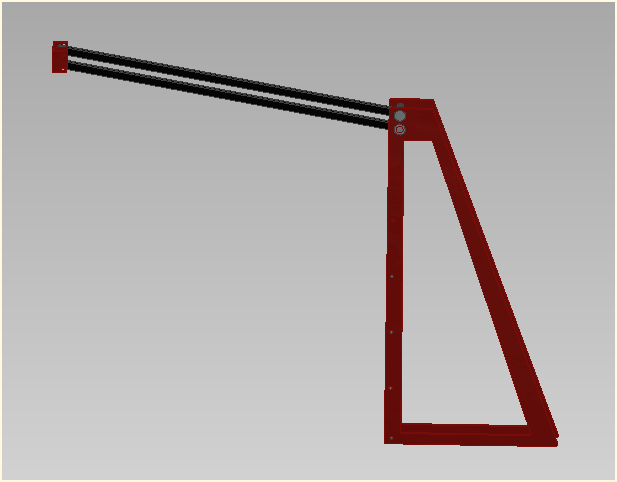 However it makes it pretty much impossible to put the pinion on the shaft without an arbor press. I do not own an arbor press. 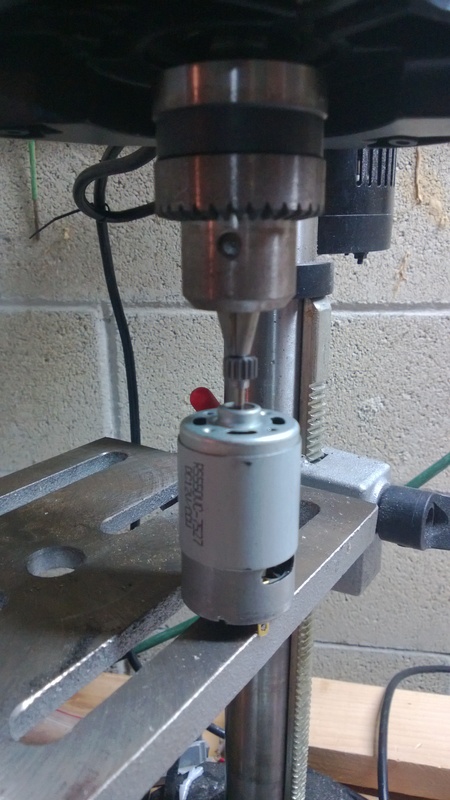 I had to improvise with my drill press. 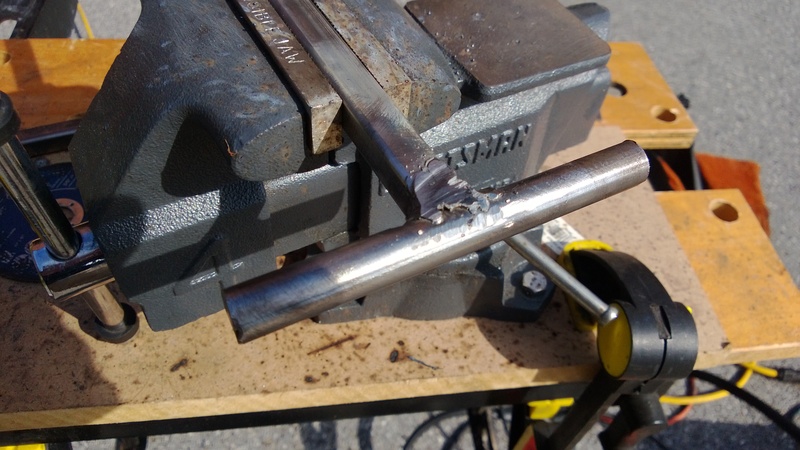 Because drill press and arbor press are close enough, right? I mean they both have the word “press” in their name. 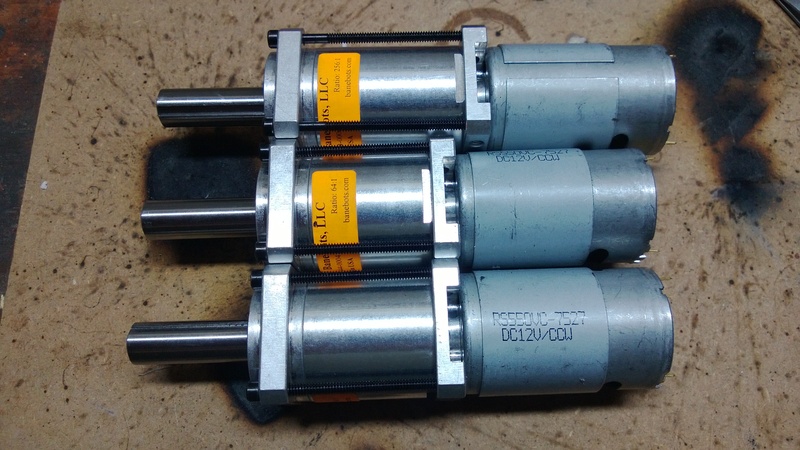 After getting the pinions on the motors I then greased the gearboxes. This was another one of those easier said than done things. 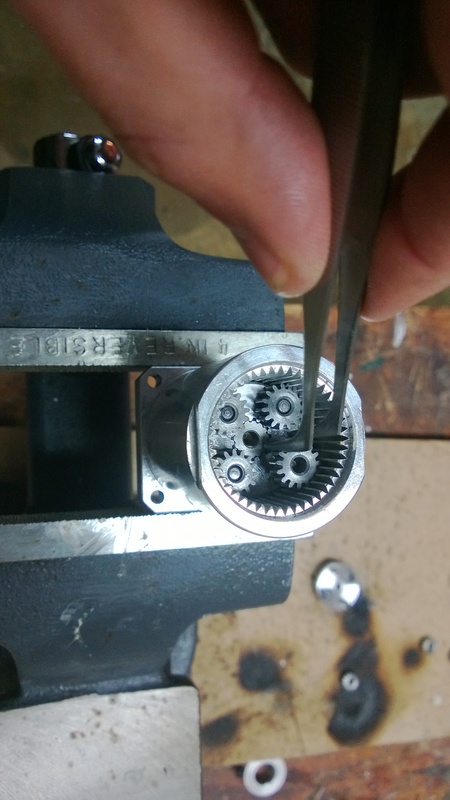 To grease a gearbox you need to take it apart and remove all the gears and squirt grease in between each layer of gears. Because the gearboxes are high reduction (64:1) planetary gearboxes, there are a lot of gears in them. Fifteen to be exact and in order to reassemble the gearboxes they all had to be perfectly aligned to the ring gear for it to fit. 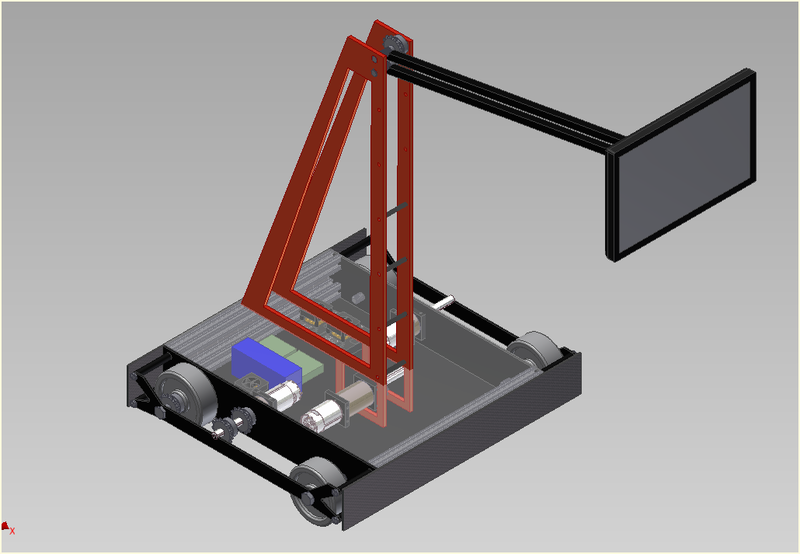 After repeating this process two more times, I had three gearboxes done and moved on to building the arm. 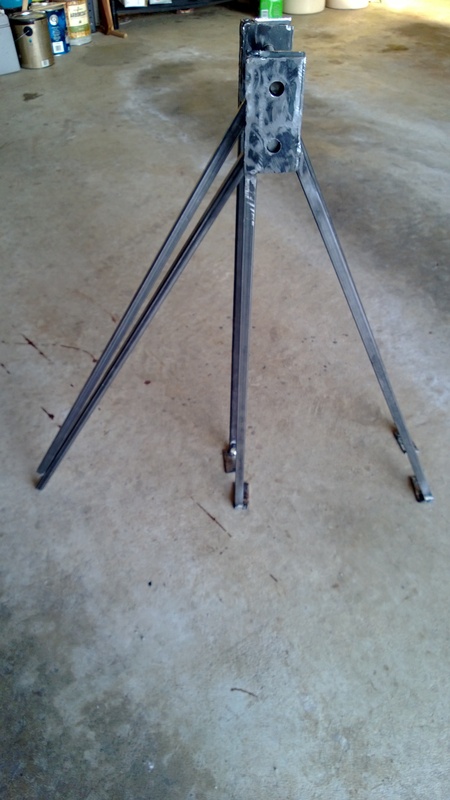 I started by taking all the measurements from my CAD drawing, and then cutting out the pieces from my tube steel collection. I began by making the moving parts of the arm. 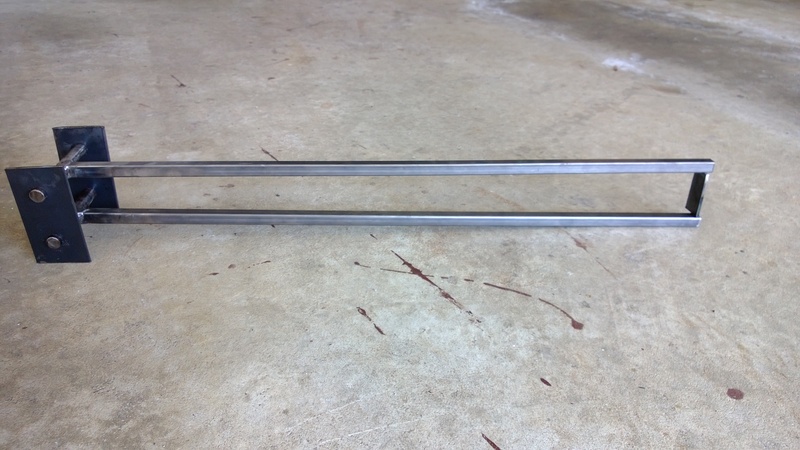 This involved welding a 25″ long square piece of tube to a round piece to make a T shape. and ended with the arm done, sans paint.